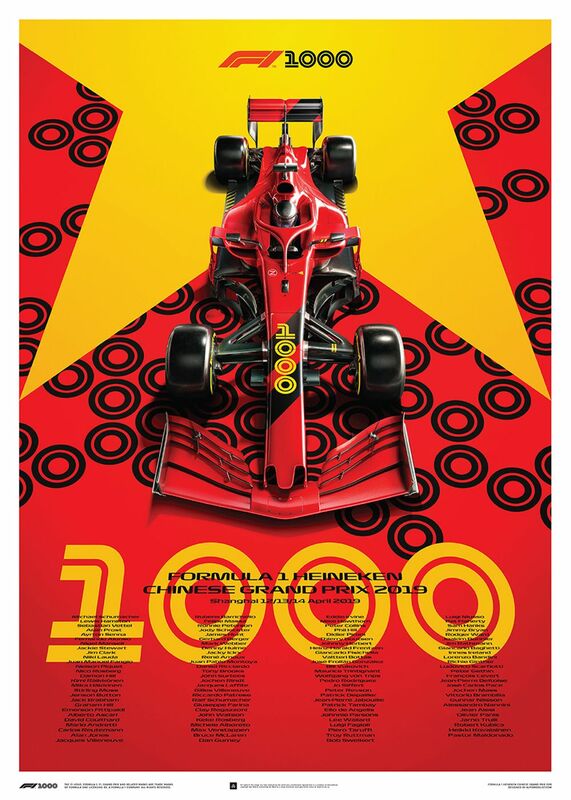 If for some reason you’ve got a phobia of the number 1000 then it’s probably best you stay away from this weekends Chinese Grand Prix as it’ll be the 1000th race that contributes towards the world championship. That means there are plenty of celebrations, one of which is this stunning pair of poster designs which commemorate the milestone. 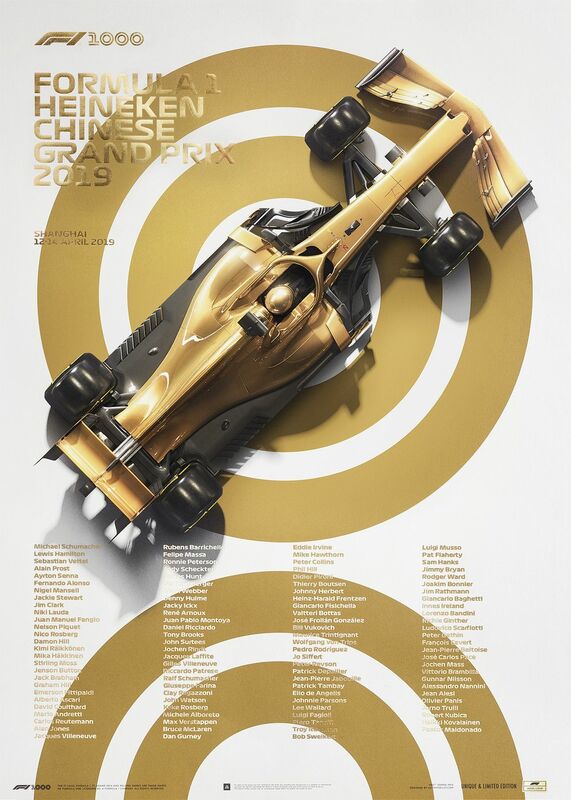 Created by Automobilist and officially licenced by F1 itself, one features a Chinese-flag themed design and lists all 107 different race winners. Pretty neat, right? It’d certainly make a great memento, but if you really want to push the boat out for a piece of 1000th race memorabilia, then the other design is probably going to be the one you want. 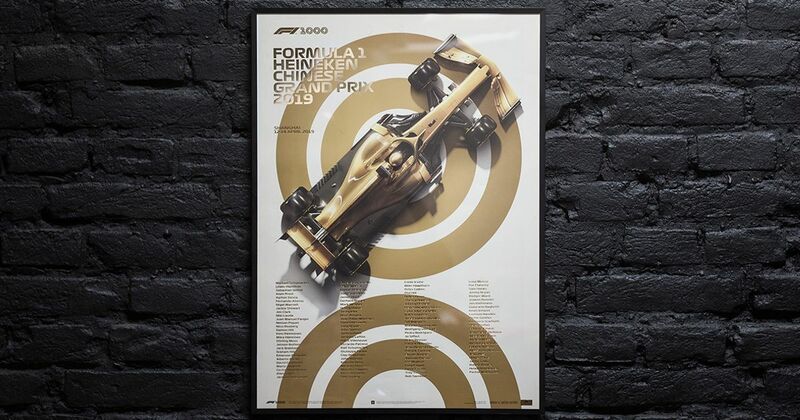 It lists every race winner along with a 3D-rendered F1 car - just like the other poster - but instead features a white and gold colour scheme, which is even embossed with gold foil. 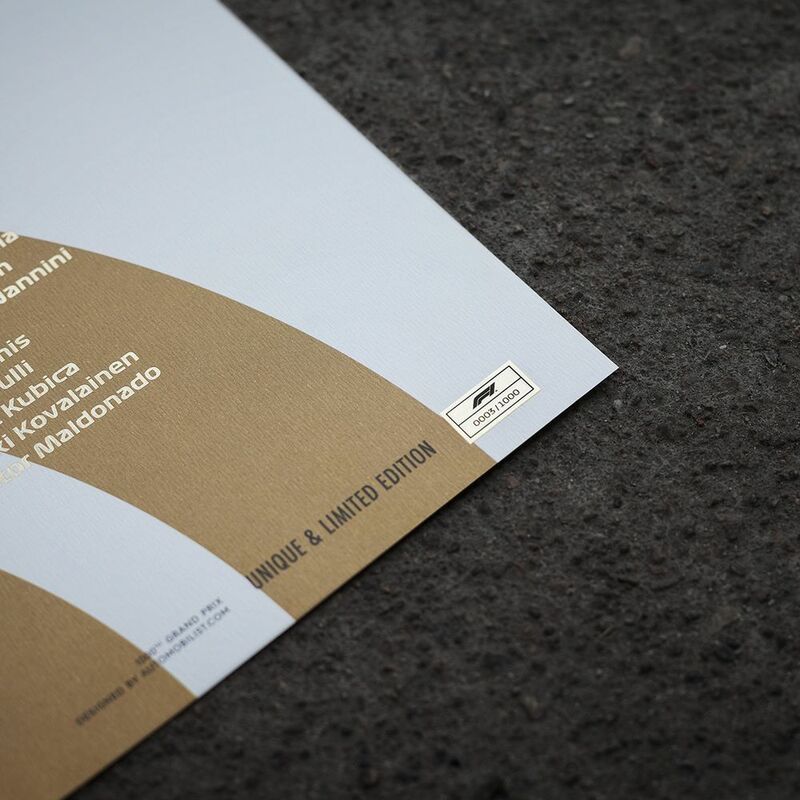 What makes this one a little bit more special is that fact that a limited number of - you guessed it - 1000 posters will be sold, each badged with its own individual number. Where else are you going to find Pastor Maldonado's name immortalised in gold!? If you’re interested in having one (or both!) of these special posters adorning your favourite wall, click here to check them out on Automobilist’s store.